The French government wants to begin the process of appointing one or more successors to Ghosn, sources said. PARIS -- The French government is moving to dismiss Renault CEO and Chairman Carlos Ghosn and has requested a board meeting to consider candidates to replace him, sources with knowledge of the matter told Reuters. The French state and its advisers are considering candidates for Ghosn's CEO role currently occupied on an interim basis by Thierry Bollore, the automaker's chief operating officer. Bollore is among contenders for the permanent CEO appointment. Others are senior Toyota executive Didier Leroy, Philippe Guillemot, head of French food services group Elior, and one other executive, a source involved in the discussions said. Jean-Dominique Senard, who is soon to step down as CEO of tire maker Michelin, is likely to replace Ghosn as Renault chairman, according to two sources. Alternatively Senard could also assume the CEO title, effectively taking over both of Ghosn's current roles, the source said. "All these options are on the table." Leroy declined to comment, and attempts by Reuters to reach Senard at Michelin were unsuccessful. Headhunting firms Korn Ferry and Emeric Lepoutre & Partners, which are involved in the executive search, could not be reached after hours. France, Renault's biggest shareholder, had until now supported the company's decision to keep Ghosn in office while he awaits trial in Japan for alleged misconduct at Nissan. But the government has asked the company to convene its nominations committee followed by a full board meeting on Jan. 20 to begin the process of appointing one or more successors to Ghosn, according to three people briefed on the process. 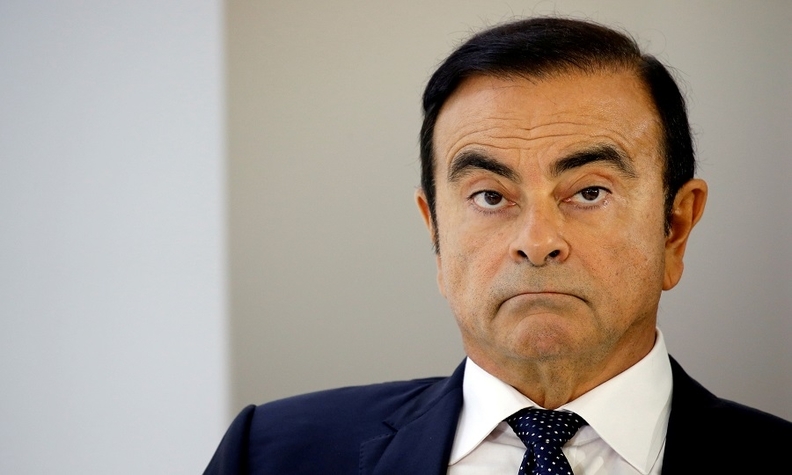 Ghosn's Nov. 19 arrest in Japan and swift firing by Nissan have deepened tensions with Renault, which owns a 43.4 percent stake in the Japanese carmaker. Ghosn has been charged over allegations that he failed to disclose close to $80 million in additional compensation for 2010-18 that he had arranged to be paid later. Nissan director Greg Kelly and the company itself have also been indicted. Both men deny that the deferred pay agreements were illegal or required disclosure, while former alliance boss Ghosn has denied a separate breach of trust charge over personal investment losses he temporarily transferred to Nissan in 2008. French officials had said Ghosn should be kept in office unless it became clear he was would remain "incapacitated" for much longer, also hinting that Tuesday's court decision would be an "important development". Nissan CEO Hiroto Saikawa said in a Monday interview that he expected Renault to back the Japanese automaker's ouster of Ghosn when its board of directors were finally given full access to the findings of its internal investigation.